Holders Lyon and four debutants including Manchester City are among the 32 teams in the UEFA Women's Champions League knockout phase: we introduce the contenders. Beat Neulengbach in the penultimate game of the Austrian season to earn a European debut. The only qualifying round entrants to be seeded in the last 32, they have won eight of the last nine Swiss league titles. After qualifying for the knockout phase signed Canada winger Adriana Leon. Lost to eventual champions Arsenal in their quarter-final run in 2006/07. Ended a decade-long wait for a record 16th Icelandic title last year. The Malmo club won their first Swedish Cup since 1997 on Sunday and currently lead the Damallsvenskan as they bid for a fourth straight championship. Lotta Schelin was a summer signing from Lyon, who in 2012/13 were the only non-German club to knock out Rosengård in their six European campaigns. The Norwegian champions overturned a 2-0 deficit from the home first leg to take FFC Frankfurt to penalties in Germany in last season's round of 16. In the last 32 they beat Zürich in extra time. Beaten in the semis by Lyon last season as they looked to reach a second consecutive final, Paris have since signed Spanish duo Verónica Boquete and Irene Pare after dealing with the departure of Seger, Houara-d'Hommeaux and Hamraou to Lyon and now Mittag. The only one of the six debutants in the qualifying round to win their group and reach this stage. Were coached until June by Colin Bell, who led FFC Frankfurt to victory in 2014/15. Won their third European title last season, one behind FFC Frankfurt’s record. Their summer arrivals include Dzsenifer Marozsán, Caroline Seger, Jessica Houara-d'Hommeaux and Kheira Hamraoui after the departures of Amandine Henry and Lotta Schelin, plus Louisa Necib's retirement and on Wednesday signed New Zealand goalkeeper Erin Nayler. On course for a tenth straight league title, their recent record in Europe and an expansion of the number of nations receiving two entries from eight to 12 means there is more than one Scottish contender for the first time. Linked since 2015 to men's club FK Sarajevo, they have won the last 14 Bosnian league titles but have made it through the qualifying round for only the second time (they had a bye in 2009/10). Have already booked their return in 2017/18 after winning the Russian league title in August. On debut last season, Chelsea beat Glasgow City then lost to Wolfsburg. The 2015 English champions were denied seeding this time due to Zürich qualifying. Missed out on a third title last season with a final penalty shoot-out loss to Lyon. Have shown their ambition by signing 49-goal all-time competition top scorer Anja Mittag from Paris Saint-Germian to add to their addition of signed Australia midfielder Emily van Egmond as they deal with injuries to Luisa Wensing, Julia Simic and Ewa Pajor. Ended their round of 32 hoodoo with a surprise elimination of Bayern München last season on away goals. The only of the 33 entrants of the inaugural 2001/12 UEFA Women's Cup to be involved in this season's round of 32. Well known for beating two-time champions Umeå in the 2010/11 qualifying round, Apollon have made the knockouts for the sixth time after missing out a year ago. Beat Brøndby and Zvezda-2005 on their way to the quarter-finals last season, the first Czech side to get there since Slavia Praha a decade earlier. Were greeted in Bilbao by a crowd of thousands after pipping Barcelona to win a record fifth Spanish women's title last June. Reached the second final in 2003 but in every season since the new format was introduced in 2009/10 have exited in the round of 16. Lost to Fortuna in their knockout bow last season. One of two teams, with Apollon, to win their qualifying round group with a match to spare. Reached their second quarter-final last season but lost their Spanish title to Athletic Club. Summer arrivals include versatile Danish international Line Røddik Hansen from Lyon. Have made it through the qualifying round for the third year running; have lost to Glasgow City and Lyon in their two knockout ties. Won their second Italian title last season and on their way to the quarter-finals of this competition beat Liverpool and Fortuna Hjørring before losing to Wolfsburg. Finished second in England last year to earn this debut and are looking good to claim a maiden title this season. Recent signings include Kosovare Asllani, a 2015 finalist with Paris. The Perm side reached the last UEFA Women's Cup final on debut in 2009; their best run since was to the 2011 quarters, where they lost just 1-0 on aggregate to Lyon. In the last two seasons have drawn home first legs against FFC Frankfurt and Barcelona. In their last two campaigns, 2013 and 2016, have lost in the round of 16 to Rosengård. Benefitting from the new rule allowing 12 rather than eight nations have have mulitple entries: Scotland has two contenders for the first time. Have won the last two German titles but are the only Frauen Bundesliga club to have entered Europe and not won on debut, as well as becoming the first side from their nation to lose in the round of 32 with defeat by Twente a year ago. Won their second straight Austrian title after after ending Neulengbach’s 12-year reign the previous season. 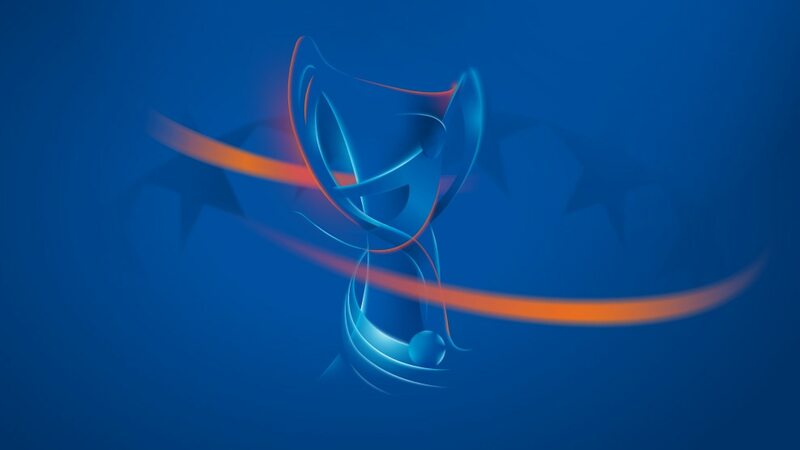 Are in the knockout phase for a record 13th time, having entered 14 of the 16 editions of this competition. No other team have reached three semi-finals without making the final. All-time European top scorer Anja Mittag has joined Wolfsburg from Paris Saint-Germain and is just one goal off becoming the first to 50, though Marta is not far behind. The 2015/16 runners-up Wolfsburg face a rematch with Chelsea while both French contenders meet teams from Norway after the round of 32 draw was made. Lyon and Norway's Ada Hegerberg has won the UEFA Best Women's Player in Europe Award for 2015/16 ahead of Amandine Henry and Dzsenifer Marozsán.